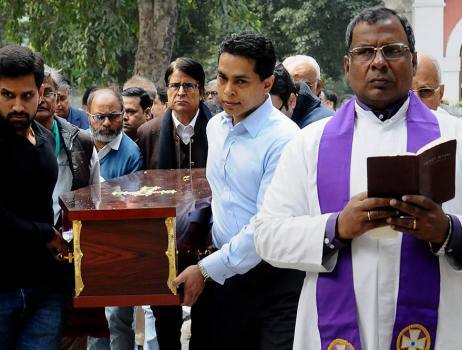 Sean Fernandes carries the mortal remains son of his father, former defence minister George Fernandes for final rites, at Prithviraj Road Graveyard in New Delhi. 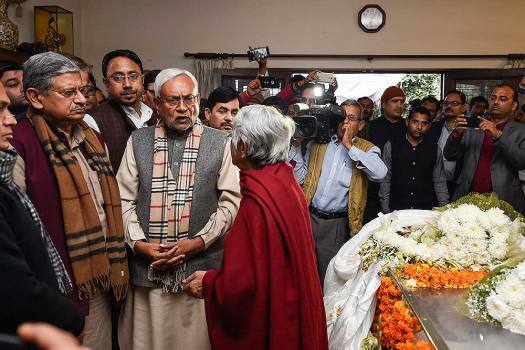 Bihar Chief Minister Nitish Kumar pays tribute to former defence minister and veteran socialist George Fernandes in New Delhi. 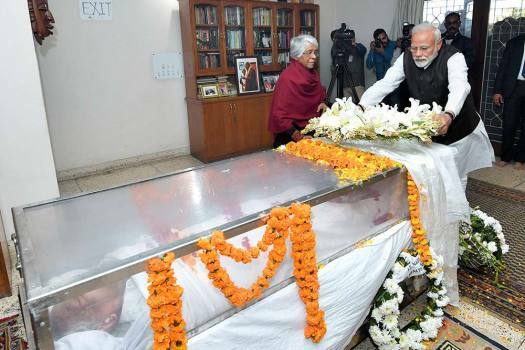 Prime Minister Narendra Modi paying tributes to the former Defence Minister, George Fernandes, in New Delhi. 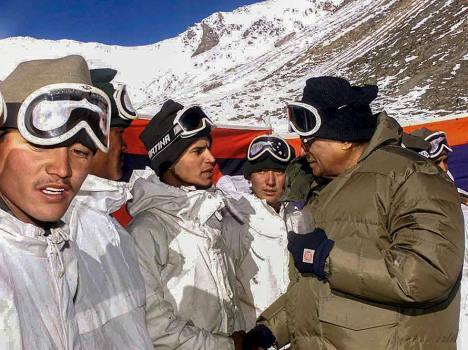 In this Nov 18, 2001 file photo the then defence minister George Fernandes interacts with the jawans at Gulab outpost during his visit to Siachen. 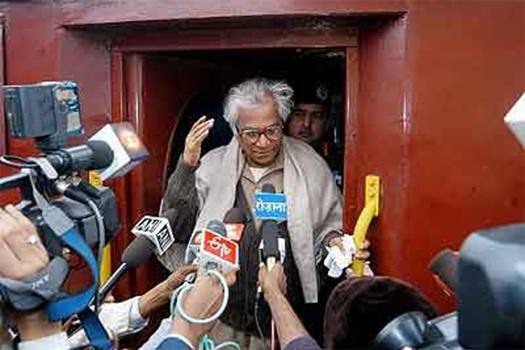 In this Dec 30, 2004 file photo the then JD (U) President George Fernandes briefs the media after visiting the Tsunami affected areas, in New Delhi. 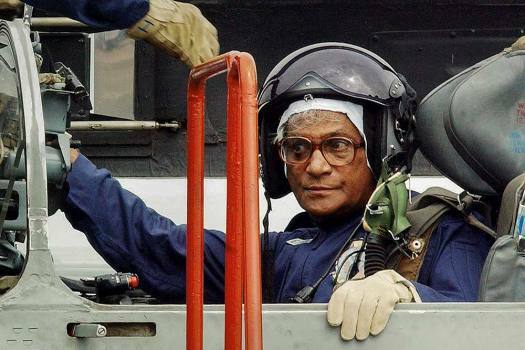 In this Aug 1, 2003 file photo the then defence minister George Fernandes is seen inside the cockpit of an MiG-21 after completing a sortie, at Ambala Air Force Station. 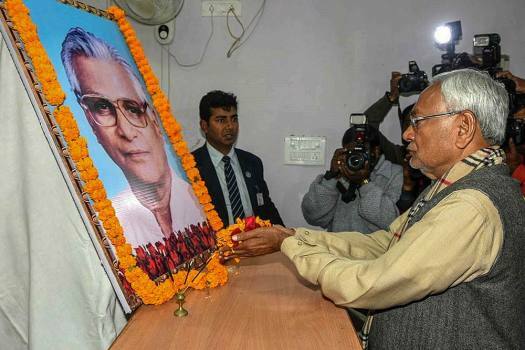 File photo of Former Defence Minister George Fernandes passed away at the age of 88, in New Delhi on Tuesday morning, Jan 29, 2019. 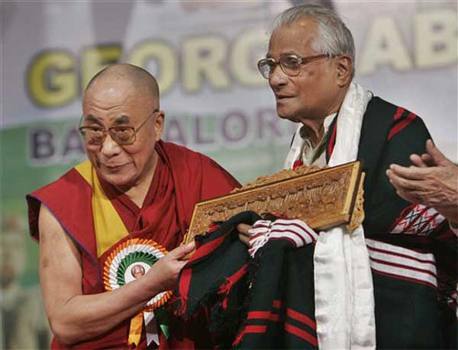 In this file photo, Former defense minister George Fernandes receives a wooden plaque from the Dalai Lama during a function organized to felicitate him in Bangalore. 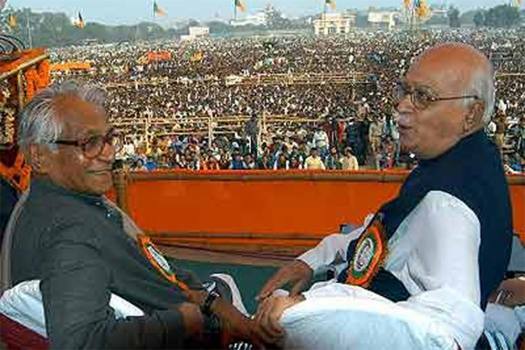 In this file photo, JD (U) leader and NDA Convenor George Fernandes and BJP President L.K Advani at a BJP's "Bihar Bachao' rally in Patna. 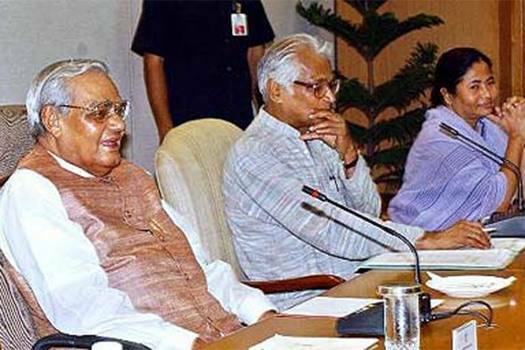 In this file photo, Atal Bihari Vajpayee, George Fernandes and Mamata Banerjee look on during a meeting of the NDA in New Delhi. 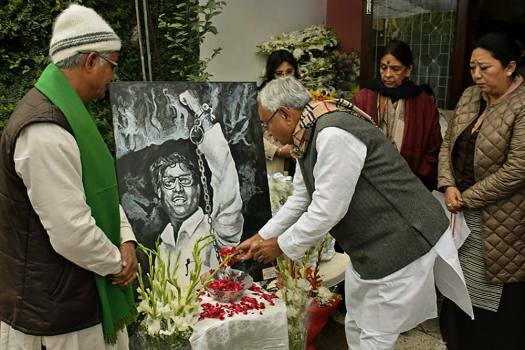 "No Scoring Brownie Points Over Dead Bodies"
At home with all ideology, is George Fernandes the archetypal politician? 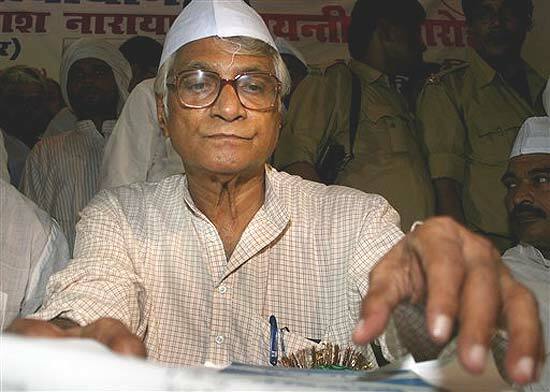 "No Arms Dealer Has Ever Come Near Me"
Fernandes died Tuesday at the age of 88 in Delhi. 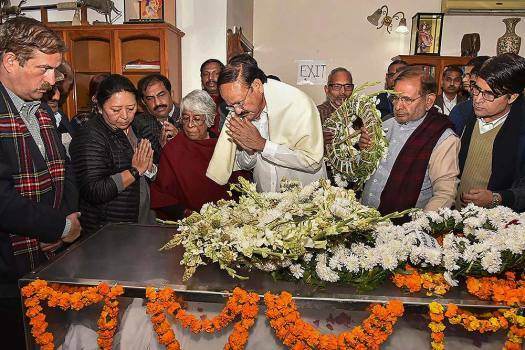 He was suffering from Alzheimer's disease for several years and had recently contracted swine flu. A visibly emotional Kumar said, "His leadership and guidance gave us opportunities to learn a lot. His guidance is crucial for all of us." 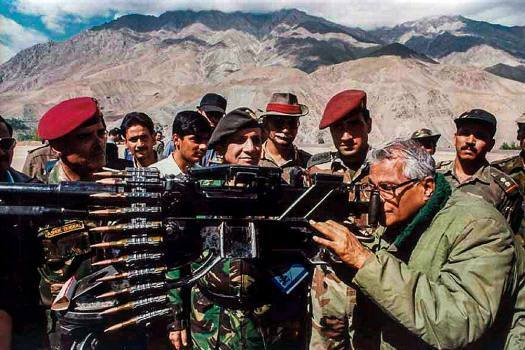 George Fernandes belonged to a rare bunch of political leaders who rose above caste, religious and regional identities to leave an indelible mark on Indian politics. 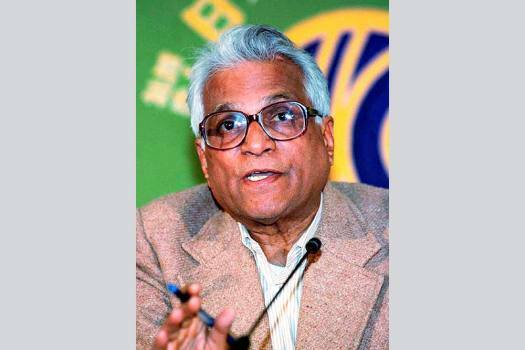 Fernandes had described the Vietnamese as "a disciplined, committed and determined lot". 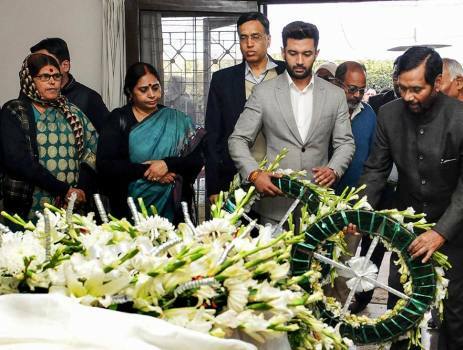 Leaders of India on Tuesday condoled the demise of former union minister and socialist leader George Fernandes. 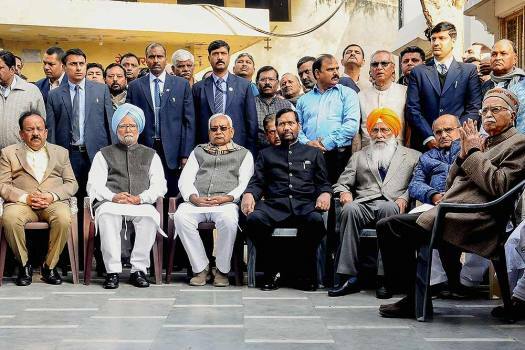 In a series of tweets, he said, "George Sahab" represented the best of India's political leadership. 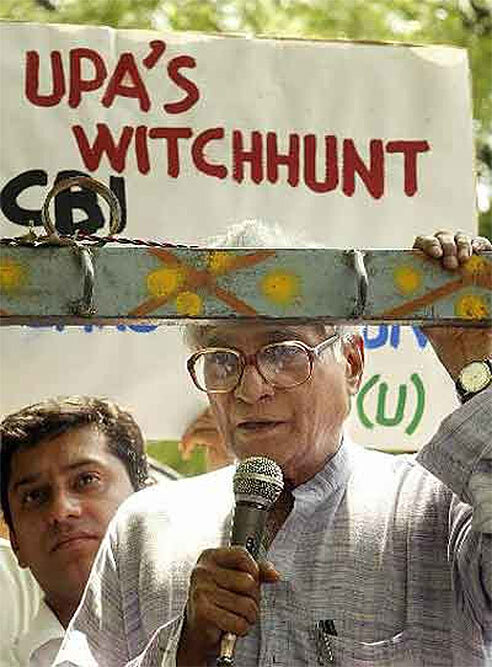 George Fernandes was the founder of the Samata Party and rose to fame as an anti-Emergency crusader and civil rights activists. 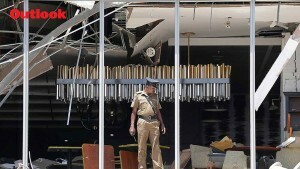 ...a brash young man — he too hailing from South Canara — arrived in Bombay in search of a future. 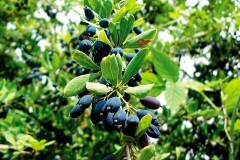 He did not do very well in the examinations. Still, he was a voracious reader and had gulped down gallons of socialist literature. His natural gift of the gab apart, he had an astounding flair for picking up languages. 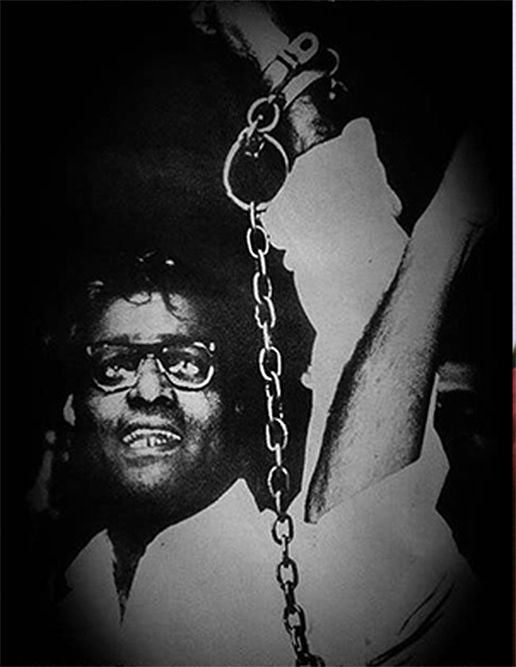 Within a year of his arrival in Bombay, he was heard haranguing assorted crowds, consisting mostly of the working class, in Kannada, Tulu, Konkani, Marathi, Hindustani, Gujarati and English. 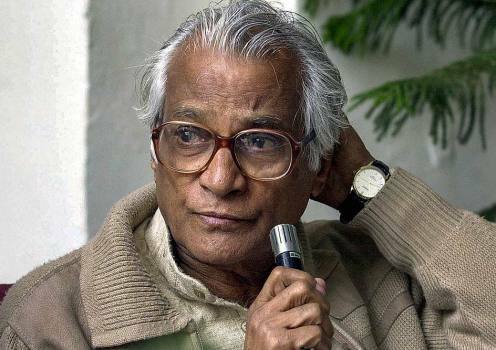 The young man, George Fernandes, was gathered in by Placid D’Mello, who taught him the rudiments of trade union grammar. George was a fast learner. D’Mello died within a couple of years. By then George had not only taken charge of Bombay’s dockside, he was also eyeing other areas where his skills as an eyeball-to-eyeball negotiator could be expected to fetch dividends. The message spread across the metropolitan city: here was a whiz-kid who was going to usher in a paradise of bargaining benefits to the workers.